©1988 C.J. 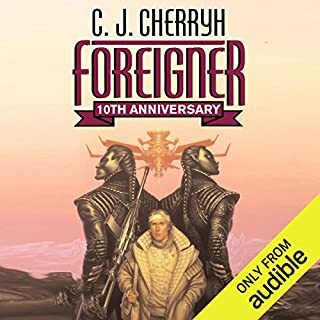 Cherryh (P)2012 Audible, Inc.
Every now and again you read a story at the right time in your life. Stuff was going on around me, and this story gave me perspective. It's wonderful when SciFi can help and inspire in the non-fiction world. I am avoiding talking about the plot or the characters, because I don't want to give anything away. The world building that takes place in this novel is astounding. It fully fleshes out a universe where sustainable economic systems work... sometimes you run into stories where planets only have one theme or purposes, like in Star Trek TNG - Risa the pleasure planet full of vacation resorts. This book actually makes sense. I wouldn't have thought a story full of psychologists would be worth while, but Cherryh does an outstanding job. This novel is definitely worth finishing. When Ariane Emory (the first), head of Reseune genetic facilities, is murdered by Jordon Warrick, the next generation at Reseune has their shackles weakened just enough that they might be able to make a difference. Ariane Emory (the second), a replicate of Ariane Emory (the first), grows up in a tightly controlled environment with the hope that she will be just like her predecessor, but things don't work exactly as they hoped, she's starting where Ariane 1 left off, with the skill, instincts, and knowledge, but with the determination to improve upon the legacy of Ariane 1. In particular Ariane 2 wants to make sure that Justin Warrick, Jordon's son and Ariane 1's victim, has the opportunity to achieve his potential and realize his dreams...under her benevolent leadership, of course. When politics don't stop and wait for Ariane 2 to grow up, she must walk a fine line between controlling and being controlled. In some ways Cyteen is the story of the murder of Ariane Emory, as the cover promises, but it is also much more than that. It is more the story of the ripples in the lives of a handful of people as her death creates a large empty space in the world. It's a story about power: The power that elder's have over youngers; that leaders have over successors; that mentally flexible people have over mentally rigid people; the power that love both gives and takes away. If all of that sounds like it is complicated and wide-ranging, you'd be correct. 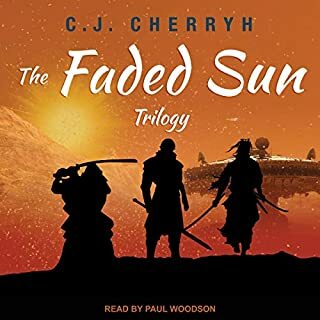 It isn't that this couldn't be boiled down to a Hollywood movie plot, it's more that Cherryh builds a level of intrigue and detail that would be ill-served when boiled down. I highly recommend this book for those that enjoy the complications of space operas, but wish they had a smaller cast. I'm generally not a reader of sci-fi, but murder and intrigue set 3 thousand years in the future caught my attention. The detail of the story is extraordinary. What a marvelous imagination this author has! 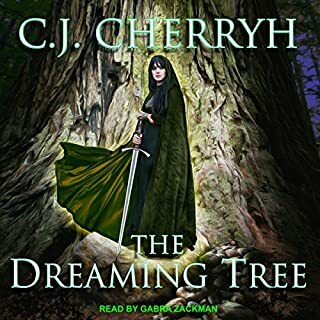 I want to hear more, but this is the only one of Ms. Cherryh's books currently available. 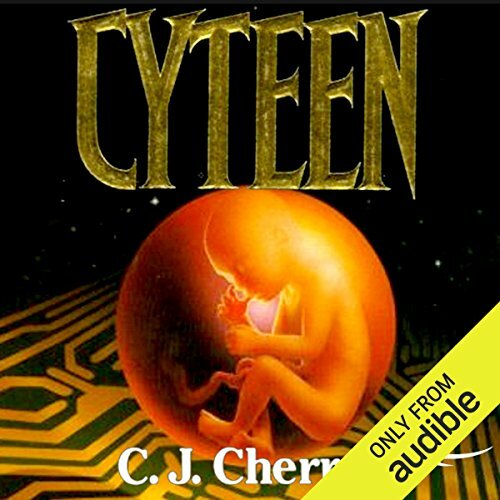 Where does Cyteen rank among all the audiobooks you’ve listened to so far? What was one of the most memorable moments of Cyteen? What does Gabra Zackman and Jonathan Davis bring to the story that you wouldn’t experience if you just read the book? 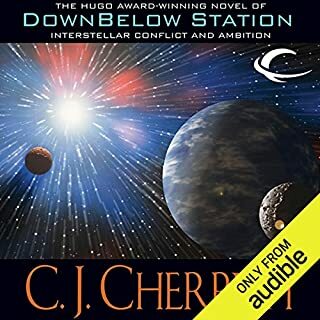 I read this story many years ago shortly after reading Downbelow Station and a few of the other, related novels in the Alliance Space universe. The world depicted in Cyteen made a nice contrast with the other societies created by Cherryh. But listening to it by itself, I found the story excrutiatingly slow with very little plot. If you are an Asimov fan, this book will put you to sleep. If you prefer Heinlein, you might like the introspective nature of the book. I recently purchased the sequel to this book (Regenesis), and I doubt I will give it a try. Of the related novels, I most enjoyed Merchanter's Luck. I first read Cyteen 25 years ago; nothing dates faster than imaginings of future technology (talk of fiche and faxes for example), but the core ideas behind Cyteen remain intriguing. The slower first part begins with an ageing Ariane Emory in charge of a sprawling business and scientific empire, the main product of which is gene-manipulated humans, the azi. From the moment azi are born from artificial wombs, they are trained and conditioned by carefully designed drug assisted ''tape' learning to be perfect workers, soldiers, or whatever. There's probably a bit much overview info on the political and scientific history and situation (the sort of stuff easily skim-read in a written novel), but there's also a murder mystery, a sinister security system, political terrorists and plenty of intrigue - all picking up pace as the story goes along. I'm not sure I've ever read science fiction quite like it. The depth of political analysis is astounding and well-balanced by masterful storytelling that vacillates the reader through ever increasing levels of tension and surprise. Very much enjoyed. I am not used to stories of this length and thought it would be hard to follow, it was the complete opposite I could not stop. Left me wanting more. Would you listen to Cyteen again? Why? Yes, I will as new ones are brought to audio books. I've listened to most that are already available in audio format. There are several classics that I would love to see recorded. Can't remember titles after a number of years but she had written a series many years ago about a female warrior and her companion. Great series. The many things that I like about all of Cherryh's writings. A believable futuristic society; well-developed, sympathetic characters and interesting aliens. What about Gabra Zackman and Jonathan Davis ’s performance did you like? If a narrator is good you are caught up in the story and not derailed by the narrator's voice or speech characteristics. Both of these narrators had me listening to the tale without thinking about their voices. Cyteen is an excellent title for a movie as well as the book. Cyteen won multiple award when it came out because it explored the future of a humanity that could shape itself and how the limits of the universe, time, and distance would change humanity. It is a great and DEEP novel. Having said this, I don't consider it her best work. The book lumbers through detail and the first third of the book has not real main character, until the woman who dies at the beginning starts to grow up. To me Cyteen is not as tightly written as Cherryh's later work. But Cyteen does a good job of exploring the effects of genetics, environmental control, and human evolutional limitations. 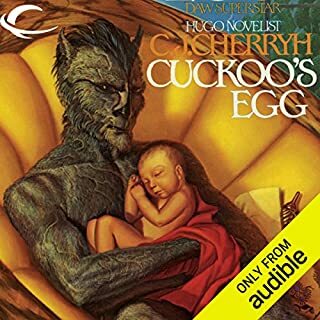 This book is not among my top 10 audio books, though it was an thought provoking book. I am glad I listened to it. 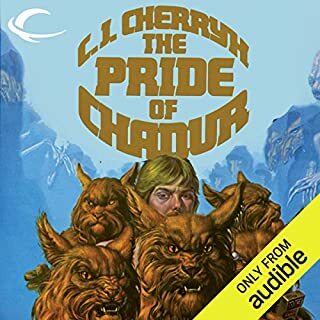 I love C. J. Cherryh books. I wish they had started with any of her other series like the Chanur and Foreigner series. I love her exploration of human/alien relations. When you realize the Hindu religion may have been truly started with control of human genetics and rebuild of a life. I liked the use of the male voice in a dry archivist manner. Those passages were a more academic exposure to the books underlying theme. However, the author and original editors should have shortened and tightened these passages. BUT Jonathan's voice acting went well with the material. Gabra did better with the women's voices. The main male character sounded too whiney in the voice she gave him. It portrayed him more as a childish whiner than as a troubled "special". But I liked her voice very much and would love to here it in other strong female lead sci fi. I loved her portrayal of the main female older self. No. It was too slow in the first third and too long at 36 hours. If you are not one to explore deep subjects, then avoid this book. If you want to hear thoughts on a very deep subject we are just starting into, this is a good listen, not a great one, but solid. Although well read, this book sent me to sleep within fifteen minutes or so, I tried several times to listen to it. The start of the book was so boring! I like at least a little interesting action at the beginning of a book to keep my interest. I realise a foundation must be set out to give the story structure, but if it make you sleepy then it's not for me. I guess some would love the political type boring banter it starts with. I wouldn't class this as a murder mystery at all and it never really gets to where you want it to go. Some of the more fascinating aspects are never explored while others get way too much attention.